Should Your Business Get a Backup Internet Connection? With most business operations tied to the internet, it is important to consider a backup plan in the event that your internet connection goes down. A host of things can cause issues with Internet service from natural disasters to provider caused issues, and unfortunately, those are beyond your control. Choosing whether or not your business should have a backup internet connection, however, is within your power. You should first identify how much your business depends on the internet for its operations when making this decision. In other words, could your business operate, if the internet was to go down for a few hours without suffering a significant monetary loss? What about for a few days? 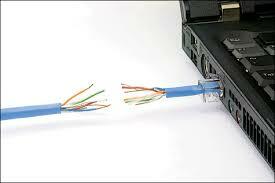 Chances are that your business would at least operate at a disadvantage without another way to access the internet. If that is not the case, deliberating about backup connections may not be your best use of time. For the rest of the business world, however, the real question lies in what kind of backup internet connection you should seek. Most experts will agree that it is wise to have your backup connection one notch lower than your primary one. For instance, if your primary internet connection is fiber, your secondary connection should be a T1 line. If your primary is a T1 line, try DSL or cable for your secondary. That way, you’re not making a huge downward leap such as from fiber to dial-up, and your employees wouldn’t be at too much of a disadvantage. This approach also takes into account your business’ budget. Your secondary connection will be a little cheaper than your primary while still being somewhat close in capability.